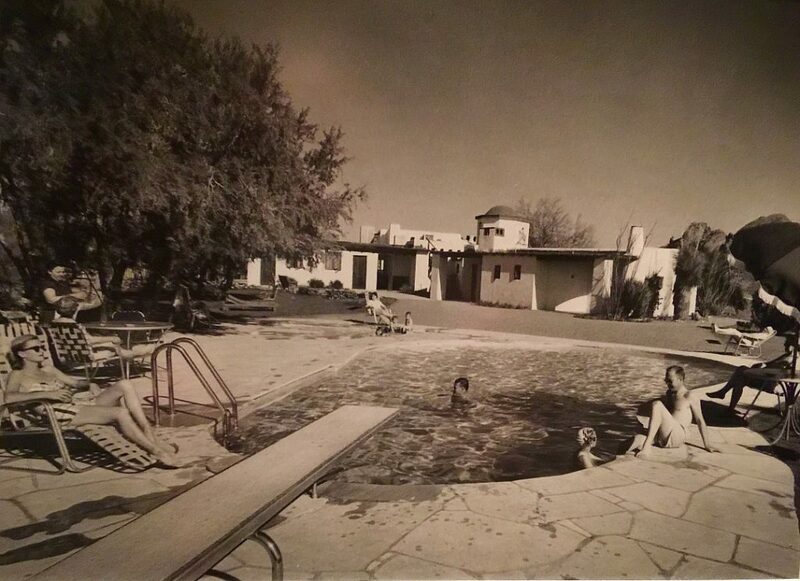 Scottsdale’s Hermosa Inn is one of the most interesting properties I’ve ever visited. 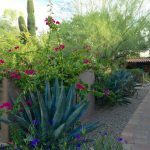 Rich with character and history, you feel like you’ve escaped ordinary life the moment you step foot on this gorgeous Paradise Valley property. 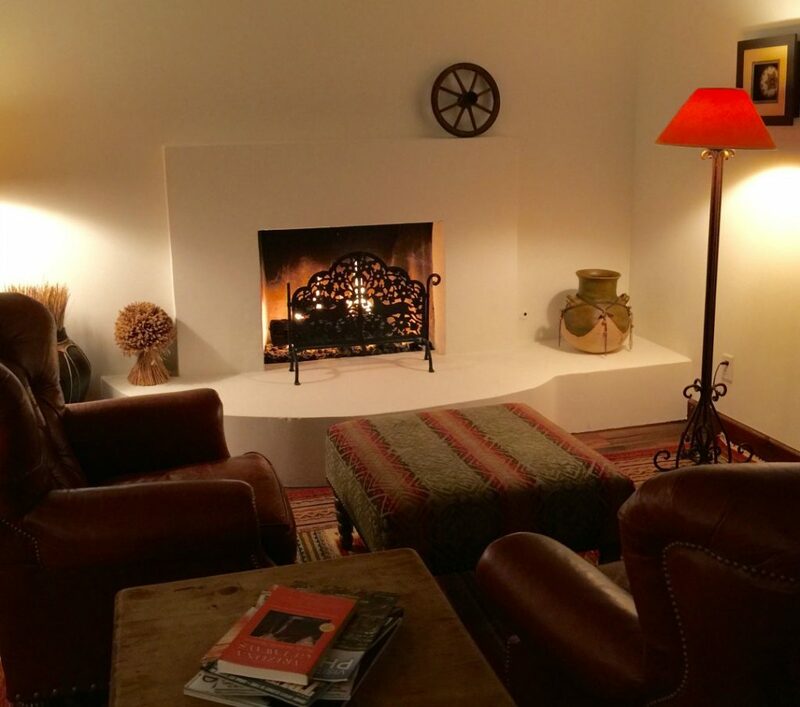 This distinctly masculine inn makes you feel like you are staying at a friend’s hacienda. 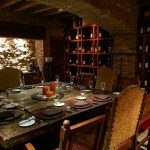 It’s a private hideaway that offers soothing quietude with a faint hint of mischief. 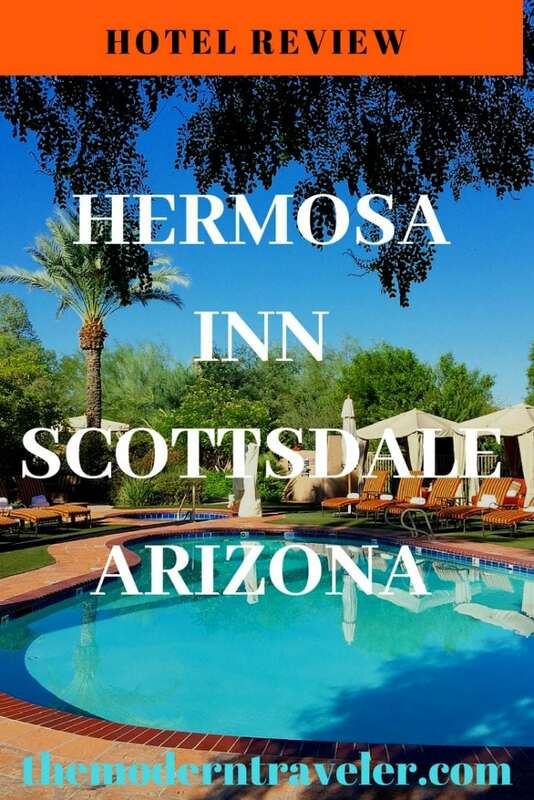 The Hermosa Inn was once the home of legendary Arizona artist Alonzo “Lon” Megargee who planted roots here in the 1930’s. 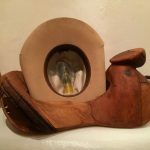 Megargee is famous for his western paintings and commercial designs for Stetson hats. 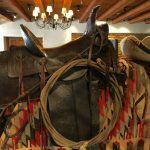 Using his skills as a horse wrangler, house builder, poker dealer and artist, he made his way west from Philadelphia chasing the American dream. Lon was a character and a charmer, going through several wives over the years. 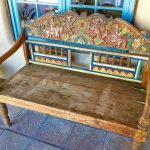 They say he was a big ladies man, but that he had the most love for his self-built adobe art studio. 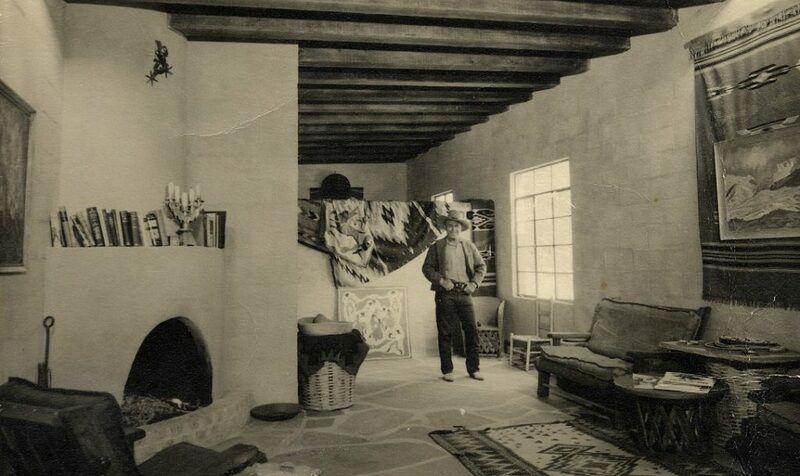 After building Casa Hermosa (beautiful house in Spanish), he began to supplement his art income by taking on guests. It was a hopping, rowdy place filled with friends and travelers. He even built secret tunnels to help people get away when the law raided the place for illegal gambling. Megargee sold Casa Hermosa in 1941 to finance a divorce. 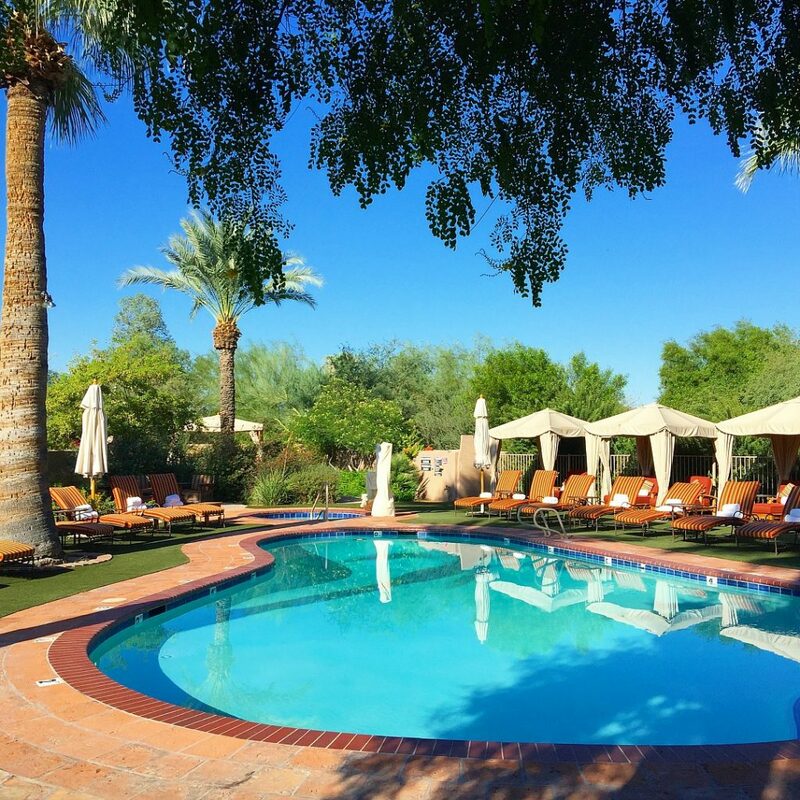 The new owners were surprised one night by a carload of guests expecting to find Lon, and serendipitously decided to continue the tradition of using the property as a resort. 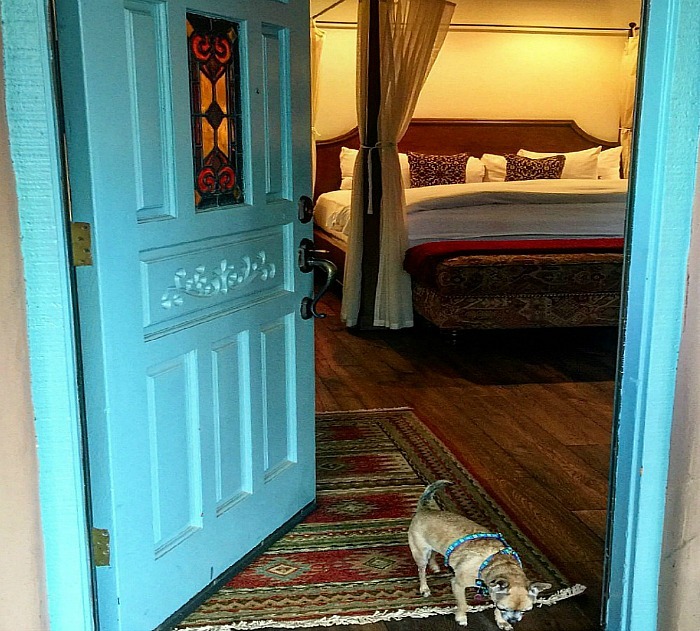 Over the years, the inn was expanded and suffered strains like fires and financial stress. 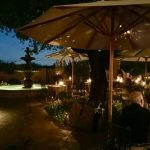 It was restored, keeping as much of the original structure in tact, and turned into a beloved Scottsdale institution that still honors the history of Lon Megargee and his antics. 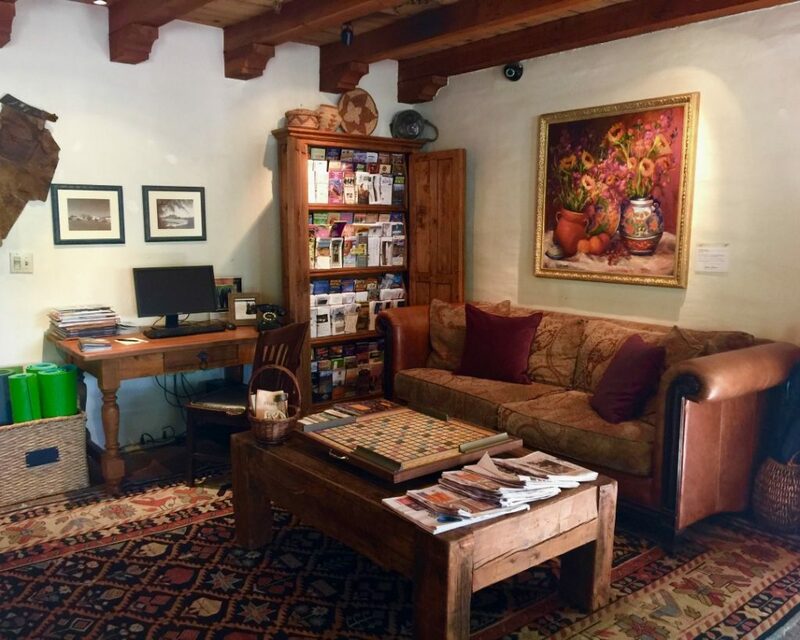 You’ll find paintings and memorabilia throughout the inn paying homage to Megargee. 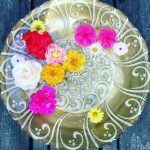 People (lots of people) claim to have encountered Megargee’s ghost, and there is no shortage of stories from staff and guests concerning mysterious noises and visions. This is what the pool looks like today. Very private, like you are at a friend’s home pool. We especially loved the hammocks. At night there is seating around a fire pit, but we didn’t have a chance to use it because we were either enjoying the ambiance at Lon’s or the fireplace in our room. 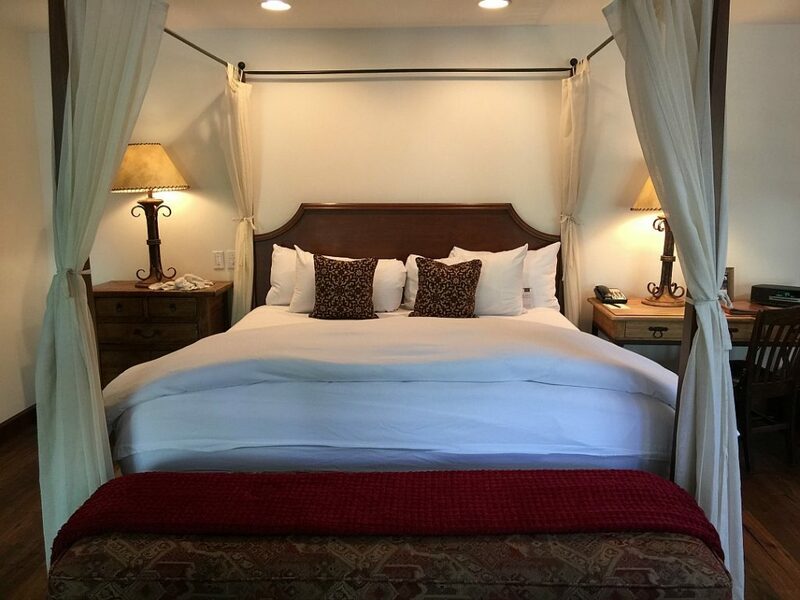 There are so many things to savor at this property, I think you need more than a of couple days to really take it in and enjoy all the Hermosa Inn and surrounding area has to offer. 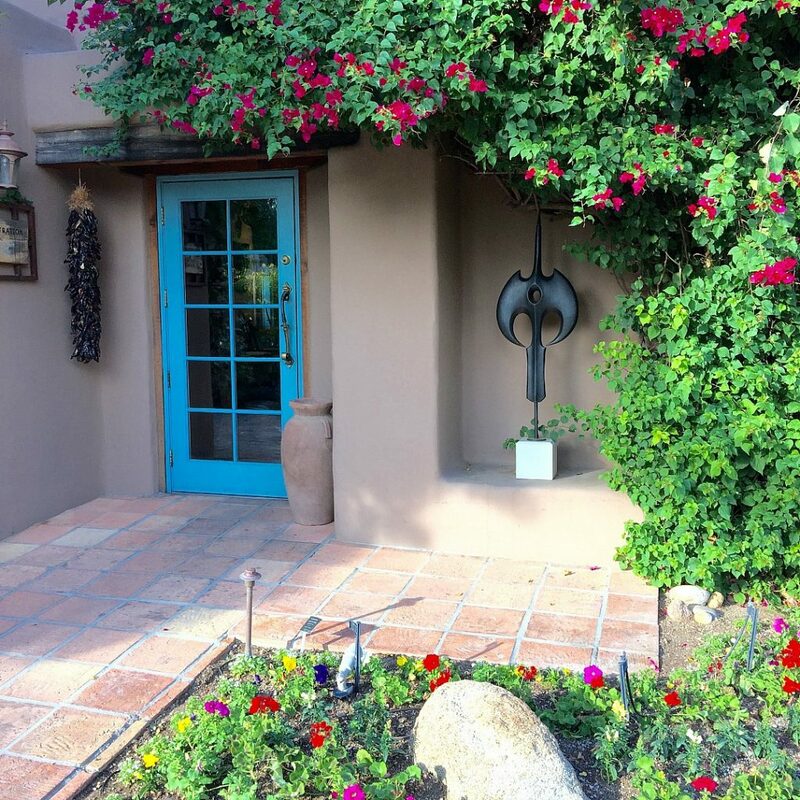 Fuchsia bougainvillea frames the entrance into the Hermosa Inn lobby. 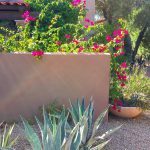 That lovely combination of bougainvillea and adobe is found throughout the inn. The lobby at the Hermosa Inn is welcoming and encourages you to hang out with fresh cookies, coffee, tea, and board games. Small and cozy, t’s a great place to meet other guests and interact with the knowledgable front desk staff. What an entry. A beautiful turquoise blue door with a stained glass panel feels welcoming. 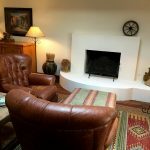 As you enter the huge room, there is a seating area on the right with a fireplace and two glorious wing back leather chairs. These chairs are comfortable and wonderfully masculine. 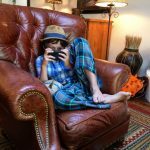 There is just enough femininity in the room to keep it in balance, but the vibe is all cowboy and rustic elegance. I kept thinking of my dad. He would love this hotel, I bet it would have been his all-time favorite. There is a skylight above the chairs (it has shades, so you don’t have to worry about light waking you up). The bed and bedding are soft and comfy. 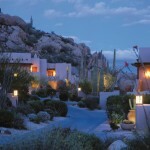 Design is southwestern-cowboy chic and sumptuous with richly colored textiles and warm wood. 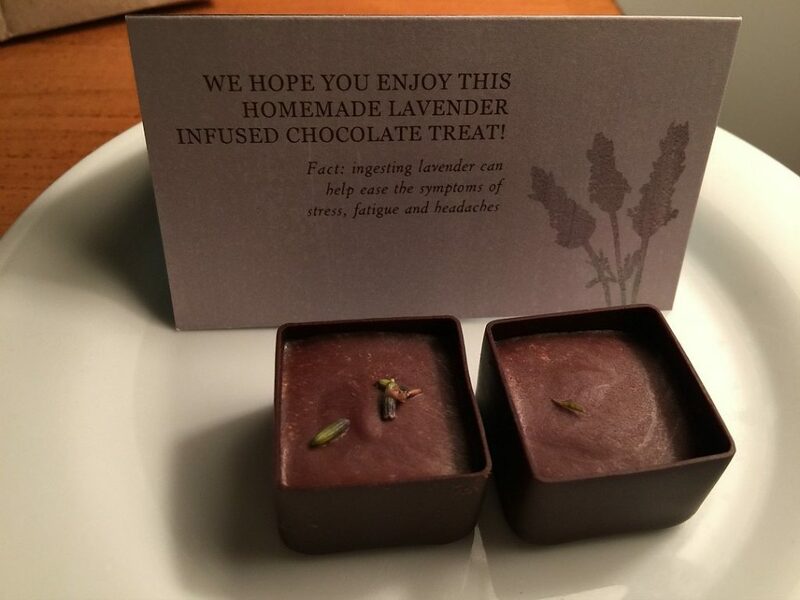 Instead of regular pillow mints, they leave hand crafted chocolate out for you at night. It’s a perfect fit for the property–real, organic, artisan luxury. Another generous touch were the homemade cookies waiting for us upon arrival. The kind of cookies that you can tell are home-made. Everything about this place is rustic and top quality. It has a comfortingly worn and familiar vibe, but it’s all luxe. Every surface, every fabric, every detail. 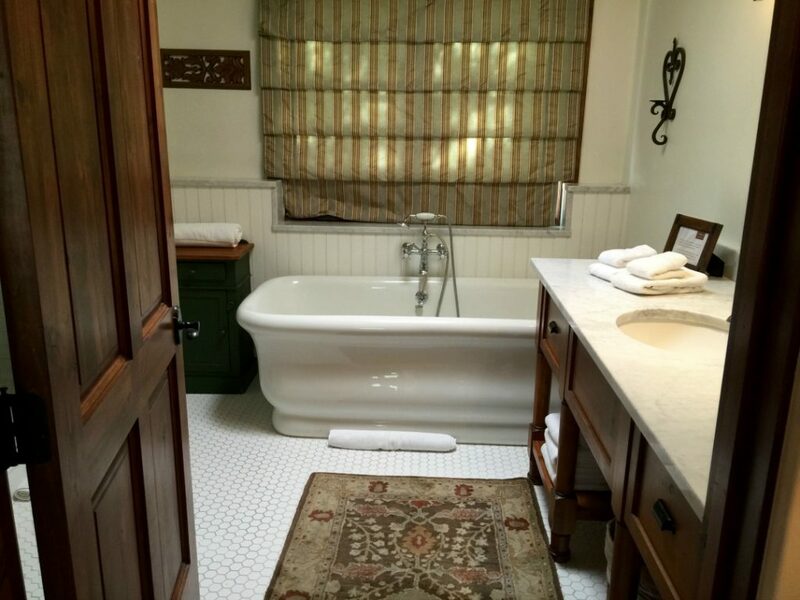 To the left of the door is a large walk in shower, with amenities. I liked the amenities at Hermosa Inn–not perfumey, just natural products in eco-friendly dispensers. Look at that tub, isn’t that fabulous? And that bright white honeycomb tiled floor feels clean and crisp. 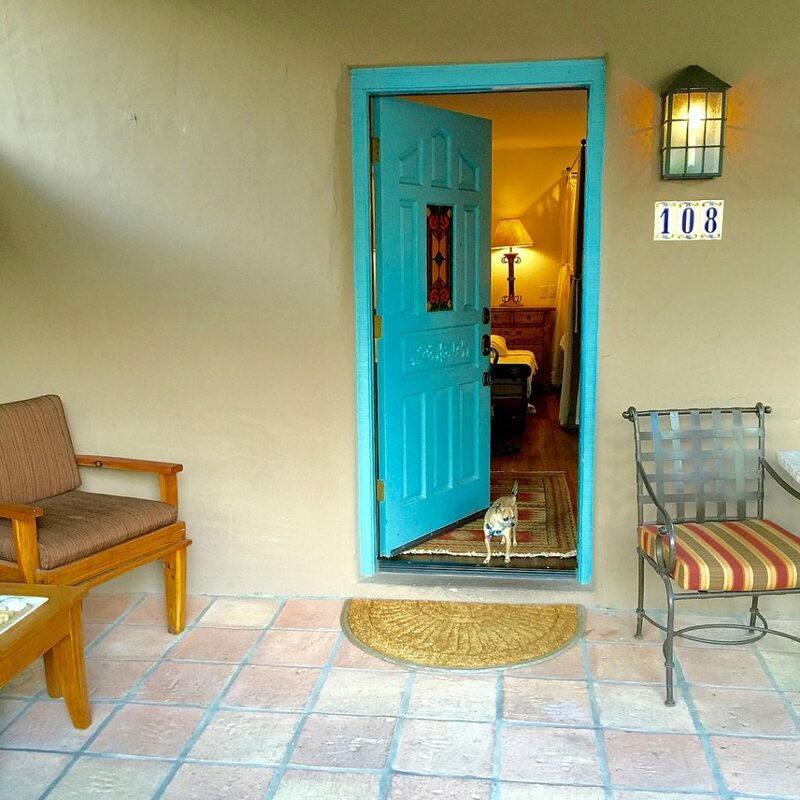 Hermosa Inn is a dog friendly property and because of the layout, it is well suited to travelers with canine family members. Our dog loved the front patio and we loved the easy access to the outdoors. The pathways are wonderful for dog walking and it’s a good excuse to wander. As you’d imagine, if you are traveling with your dog, they will put a plush dog bed and bowls in your room. 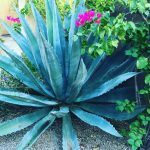 The grounds at the Hermosa Inn are meant for meandering. 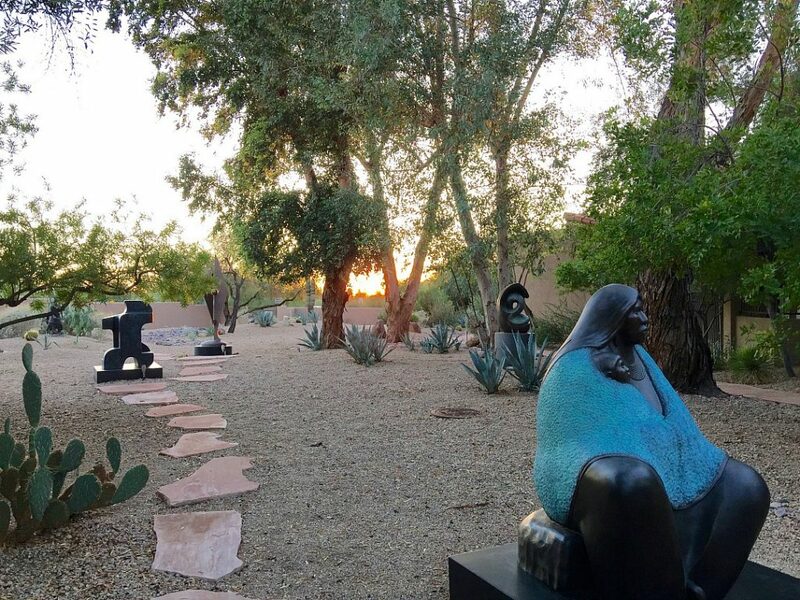 Pleasing walkways and an art installation will enchant while the occasional hammock and seating area beckons you to relax and live in the moment. See this prickly pair cactus? You see these throughout the grounds. 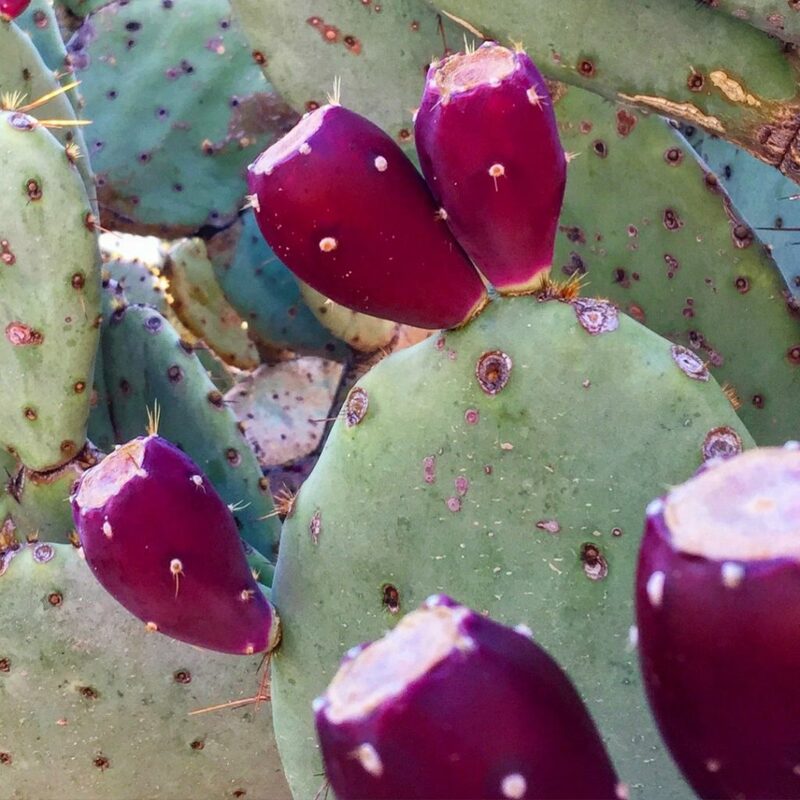 They harvest the fruits for culinary use, like Prickly Pear Margaritas at the Last Drop bar. Outdoor living space makes a room infinitely more enjoyable. Look at this gorgeous patio. 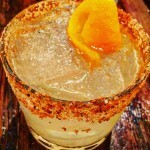 The hacienda atmosphere is one I savor. 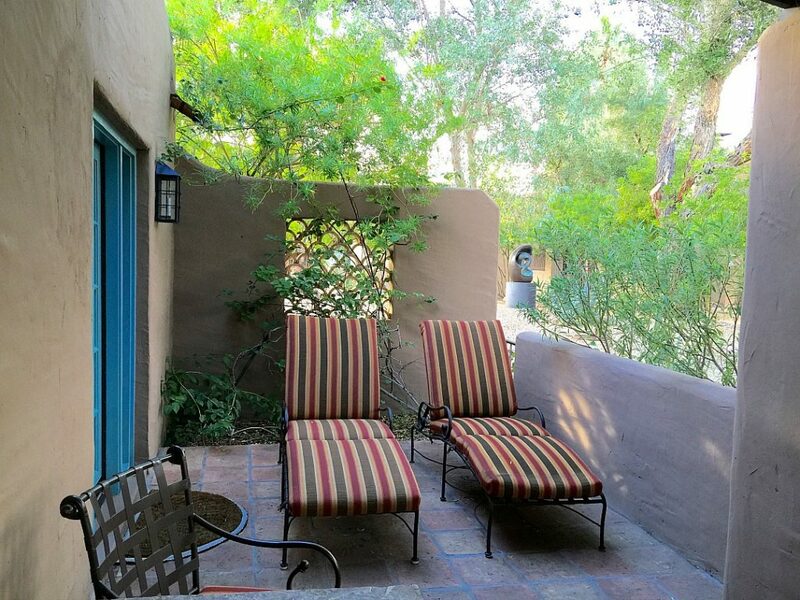 There were so many great places to hang out on this property, and your own private patio is a wonderful luxury. 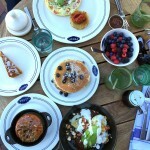 If you like outdoor living space and patios as much as I do, you will love LON’s, the restaurant at the Hermosa Inn. 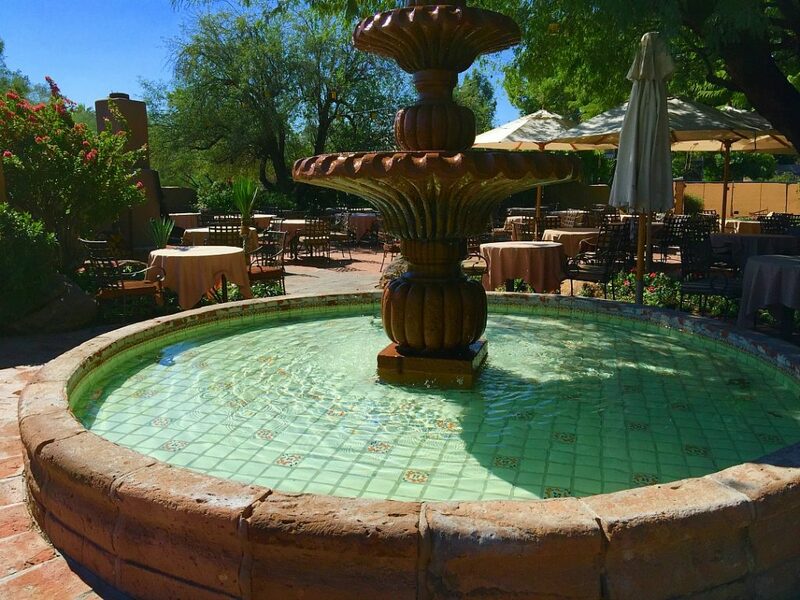 A huge patio with bistro lights overhead and an iconic fountain create a magical atmosphere. 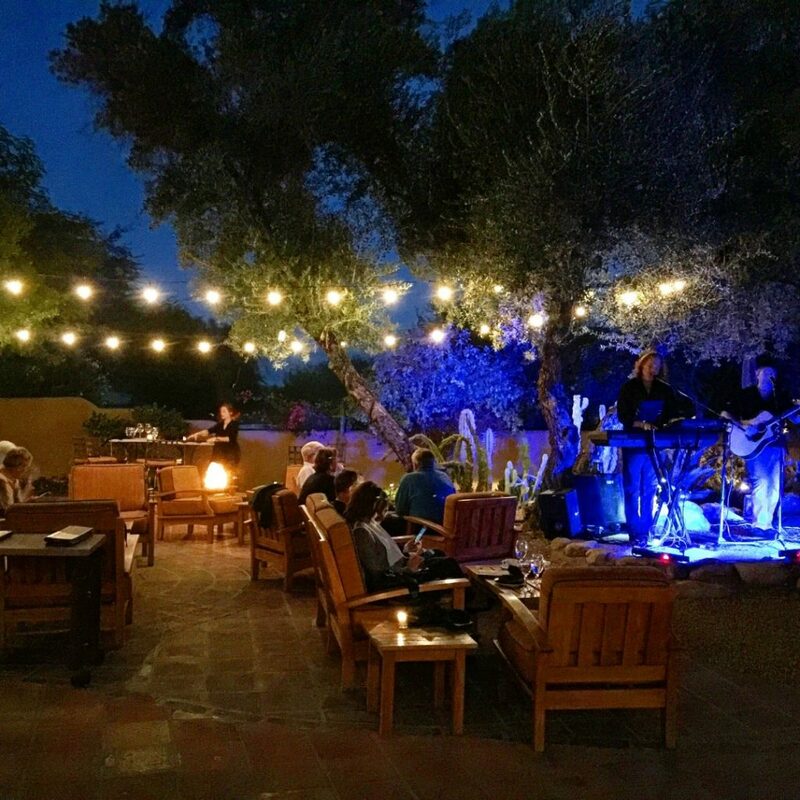 Excellent food combined with live music and glowing fires makes LON’s a Scottsdale must. 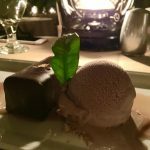 The menu is full of locally sourced food and drink prepared creatively with a beautiful presentation. We sampled a variety of dishes, family style. We had wood fired pizza, lobster, and Ahi served on a Himalayan salt block and searing away right at the table. 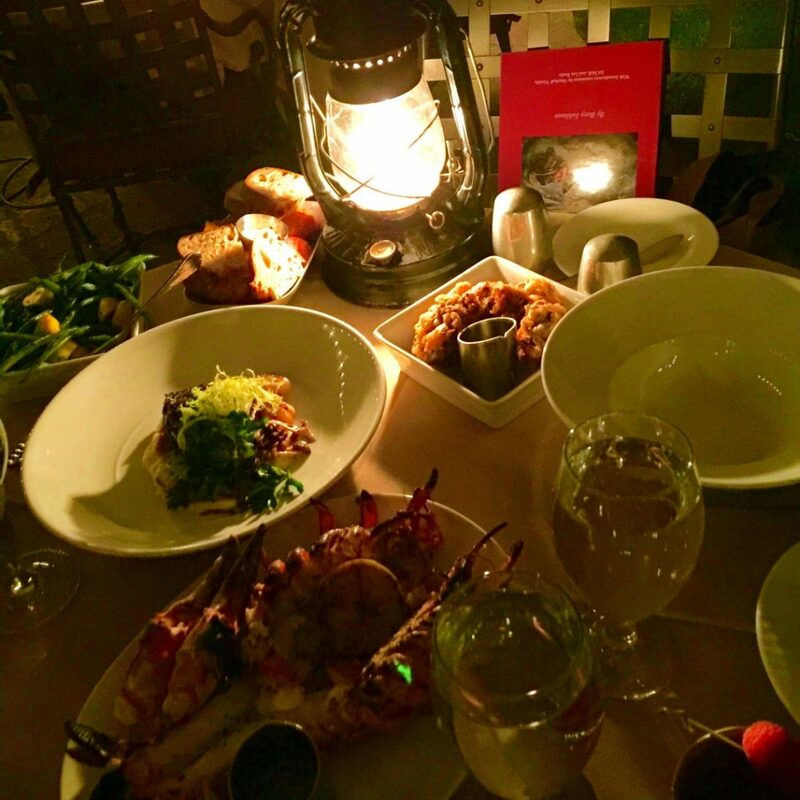 The ambiance at the table is cozy and lit up by a kerosene lantern. You can sit indoors as well, and the atmosphere is rustic and fabulous (see that Megargee painting? ), but there is something special about dining alfresco that I’d recommend over indoors if you visit while the weather is warm. 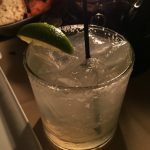 The bar, aka The Last Drop, is also a Scottsdale institution, so you might want to stop in before dinner and visit the infamous Spirit Guide, aka mixologist Travis Nass. 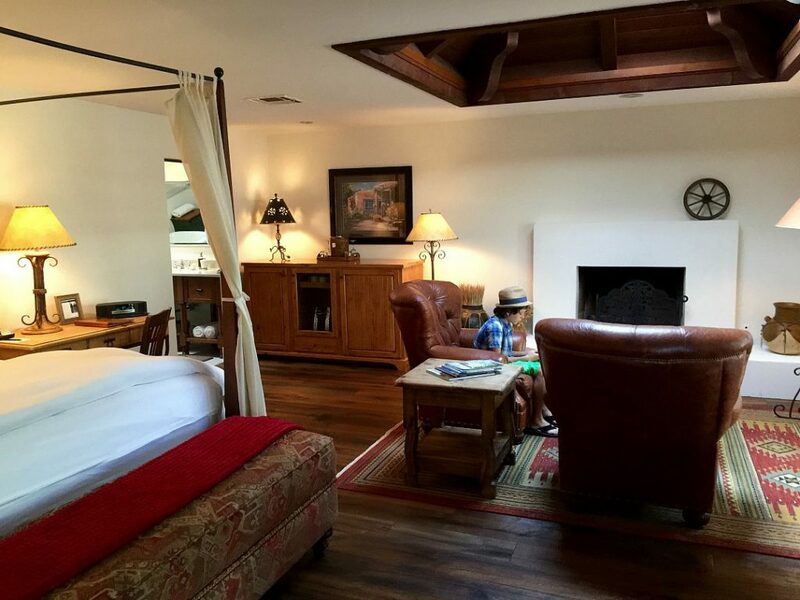 The Hermosa Inn is easily one of my favorite properties. I totally fell in love with it and will be recommending it to everyone I know. I can’t imagine anything less than a stellar experience here. 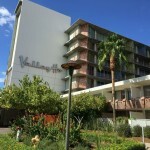 Location-wise, it’s only 15 minutes from the airport in the upscale Paradise Valley neighborhood, close to many restaurants and venues. 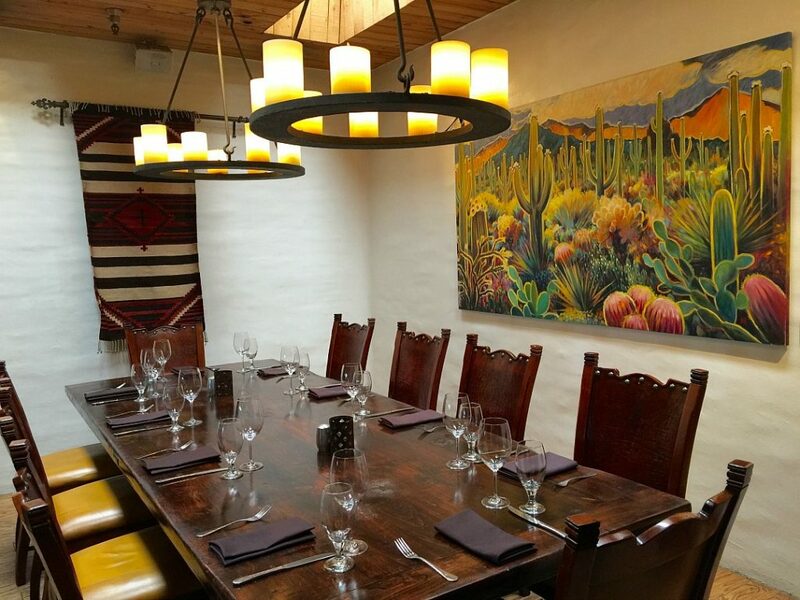 Rustic elegance and a masculine cowboy ambiance captures the mood of old school southwest. 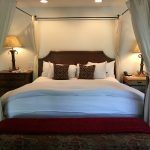 Find out more HERE on the Hermosa Inn website. 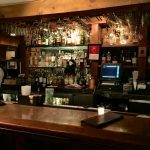 We were guests of the Hermosa Inn, opinions are my own.